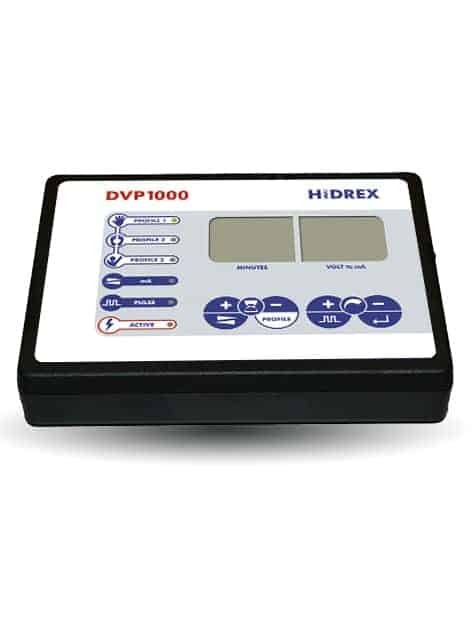 SKU: DVP1000K. Categories: Medical Devices, Iontophoresis. Tag: dvp1000. Programmable Variable Pulsed Current for more comfort AND better efficiency! What is Variable Pulsed Current? Good results so far! Significantly reduced sweating. I cannot say enough good things about this machine! I have suffered from excessive Palmar and plantar hyperhydrosis for about 16 years. I did treatment with this machine for 2.5 weeks straight everynight and after about 1.5 weeks of treatments, my hands and feet were becoming much drier. I am now completely dry and I am able to go several days in between treatments. This has been the answer to all of my prayers! I HIGHLY recomend trying this machine if you suffer from Hyperhydrosis! This changed my life! Thank you Hidrex! The customer service and assistance we received from Hidrex USA was second to none! They made sure we understood how to use the machine to its full advantage, coordinated with our doctor’s office to get a prescription, and were extremely courteous and professional. We had all our questions answered immediately, even during a holiday weekend when my son started treatment. I highly recommend this company if you’re looking to order an iontophoresis device. This machine has changed my life! After using the machine for about a week straight my hands have been incredibly dry. I have tried numerous other treatments for hyperhidrosis and this is the best by far, no pills, needles or surgery required. Additionally the customer service is fantastic. They are always happy to help and offer immediate, useful information on any questions. This machine has changed my life. It works. Plain and simple. For years, I suffered from hyperhydrosis of the hands. I don’t believe I had ever met a person with sweatier hands than mine. I talked with doctors and tried other treatments to no avail. Then I found out about iontophoresis. I researched it for weeks and came to the conclusion the Hidrex machine was the best. I was right. I made my order and it was sent out promptly. The customer service is remarkable. They will answer any question you have swiftly. Just after a few days I noticed a reduction in sweating. At 2 weeks, it was almost gone. After 1 month of treatment, not a single drop of sweat. It has been 5 months now and I am completely sweat free. Even during hard physical activity, stress or anxiety. Not even the slightest amount of moisture. This machine is amazing! I can’t believe how effective it is. I have to admit, I was skeptical after trying different options, but this really works. Ignore the price tag and get it! My teenage daughter has suffered with Hyperhidrosis since age two. We tried so many different over the counter remedies for her sweaty hands and feet, with little to no success. Oral prescriptions were not a good solution, and the surgery has too many serious potential complications. She finally decided she was ready to commit the time and effort to iontophoresis about two months ago. 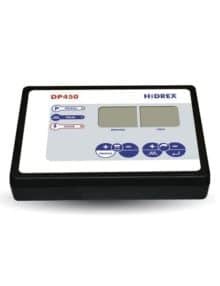 After the initial daily start up process, she now uses the Hidrex once or twice a week for maintenance. The decrease of sweaty hands and feet has been astounding, it has been almost completely eliminated. My daughter is so happy!!! Often she will reach over to touch my hand or arm just to show me her hand is completely dry! She asks for foot massages now that her feet aren’t wet. She is getting her first pedicure soon now that she isn’t embarrassed by wet feet. And if you have Hyperhidrosis you know what I mean by wet – dripping puddling hands and feet that slide out of shoes, ruin papers, won’t work with touch screens, cause difficulties applying makeup, and embarrassment in social situations. The Hidrex has changed my daughter’s life. It works, is worth every penny, and will last for years. I wish I had all the money back I wasted on antiperspirant products and shoe inserts, which are temporary solutions that I would need to keep buying, and had mostly disappointing results. 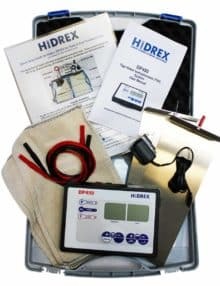 If you are considering trying a Hidrex, please do. Also, the support from HidrexUSA is great. Anytime I have a question or need advice on using the machine I make a quick phone call and have immediate assistance, or get a call back right away. This the only treatment that gave me reliable results. I should add to that the extraordinary customer support. The Hidrex machine was the answer to all my prayers. I’ve been dealing with palmar hyperhidrosis all my life and after 12 consecutive (daily) treatments I reached complete dryness! I couldn’t believe it! I have yet to fully establish a maintenance schedule but am going to try twice a week to see how it goes. The customer service I’ve received from Hidrex is unmatched. They respond very quickly to emails and genuinely care about answering your questions and helping you reach dryness! Thank you Hidrex! I can’t recommend this company and machine enough! Works great! My life has changed because of this machine. I have been suffering of hyperhidrosis for most of my adult life and I can proudly say that I am completely dry. I highly recommend this device. 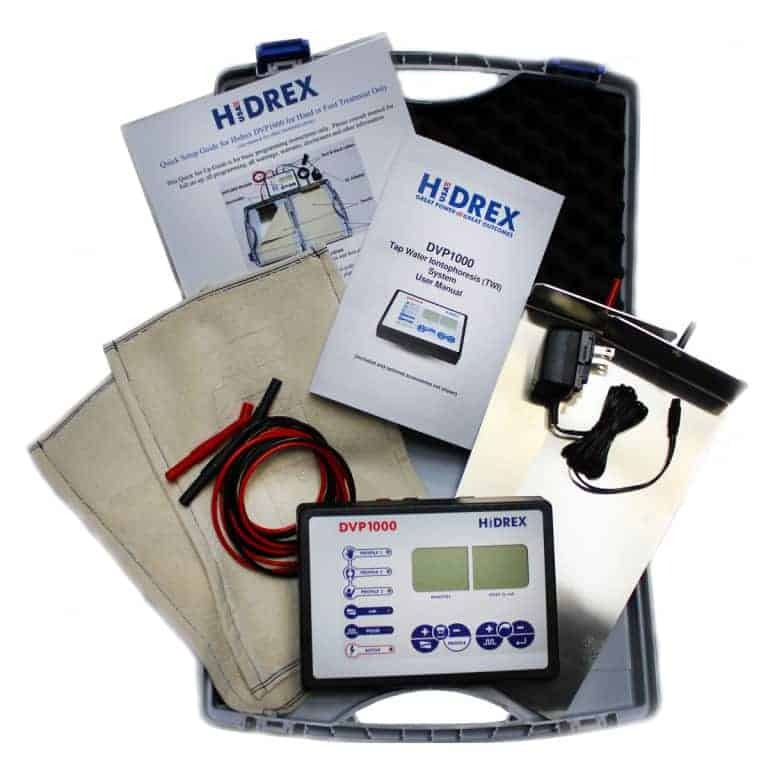 Thank you Hidrex USA!! Best purchase I’ve ever made, I wish I would have done it sooner. Changed my life. After battling excessive sweating my entire life my hands and feet the condition, stopped me from wearing the things I want and I would cringe at the thought of shaking some hands. I started treatment a little over a year ago, it took about 4-5 days for the treatments to work, I noticed a little in increased sweating for about a day or two them by day 5 completely gone. Sounds so silly but, my life completely changed. my hands and feet are dry. I can go 2-3 weeks with no treatment now. I’m confident and have much more self esteem. I was hesitant to spend this kind of money but this is has been the best investment I’ve ever made in myself. Only people with this condition would understand. The machine is easy to once you get the hang of it. I’ve had questions at the onset of treatment they were there to walk me through each step. I have been suffering from extreme form of hyperhidrosis my whole life; my hands and feet literally used to drop sweat, even if i’m at rest still i’m sweating all day long no matter how cool the weather is. Needless to say, this has affected me tremendously as child and as an adult I used to avoid all physical contacts with anyone no hand shakes or high fives at all! I have tried botox.. extra strong antiperspirant anything you name it and nothing worked and I was even considering surgery but no one advised me to.. Long story short i’m a medical student now and part of my training is to do physical examination on patients and oh boy that was my worst nightmare! Out of hopelessness I dug into the internet and found about iontophoresis I was very skeptical at first but I found this site and read about their devices. I consulted my GP who advised me to give it a try so I bought the dvp1000. oh my lord that was the best decision I have ever made! Bone dry! Both palms and soles. Can’t belive it worked! Can’t describe how happy I am, Got my life back and I’m very confident now. I can go ahead and enjoy my life looking for the future with dry hands and feet! 1- this device may seem overpriced at first but, in the long run it will pay for itself.. plus the other alternative treatments won’t provide the dryness I got using iontophoresis. Still the money back guarantee encouraged me to give it a try. 2- you have to be patient, it will take time to see results.. it will worth it trust me. don’t give up too quickly because it took me 25 daily sessions to achive full dryness then once a week as a maintenance. It’s a matter of try and error. 3- I have experienced worsening of my sweating at first if you do it’s ok it will go away eventually. 4- the provided log book is a brilliant idea. 5- Hidrex is by far the best in the market. I have compared them with other devices and hidrex won every time. Plus they are fda approved. 6- I really want to thank the support team they are very responsive and helpful. Thank you all and I hope you get the results I got.